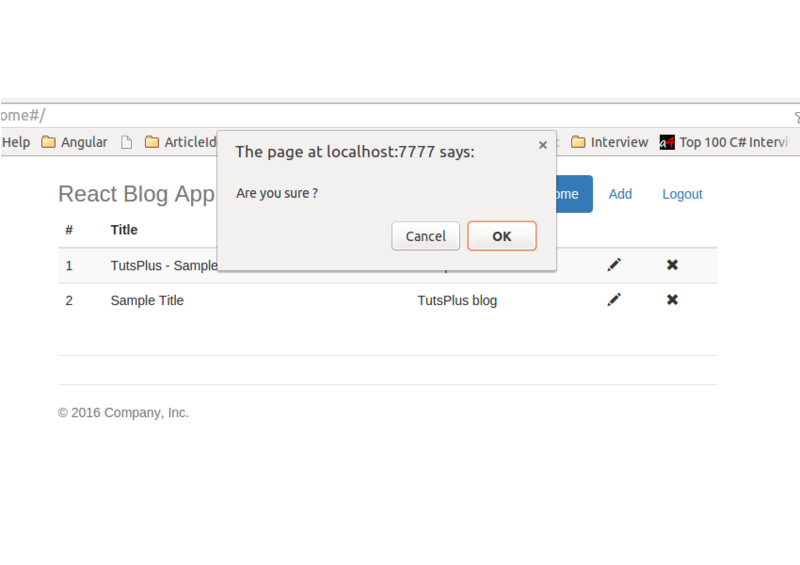 In the previous part of this tutorial series, you saw how to implement the add and display post functionality. In this part of the tutorial series on creating a blogging app in React, you'll implement the functionality to update and delete the blog posts. As seen in the above code, you have triggered the redirect to the add post page with the id of the edited item. In the add post page, you'll get the details of the blog post with the passed id and populate the details. 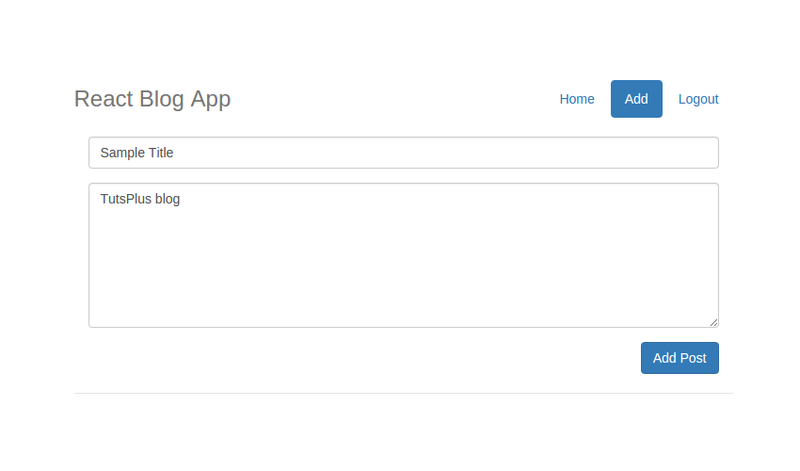 Now, to update the blog post details, you'll need to check for the id inside the addPost API method in the app.js. If it's a new post, the id will be undefined. As seen in the above code, you will make a call to the deletePost method in the post.js file and return the result. Let's create the deletePost method inside the post.js file. 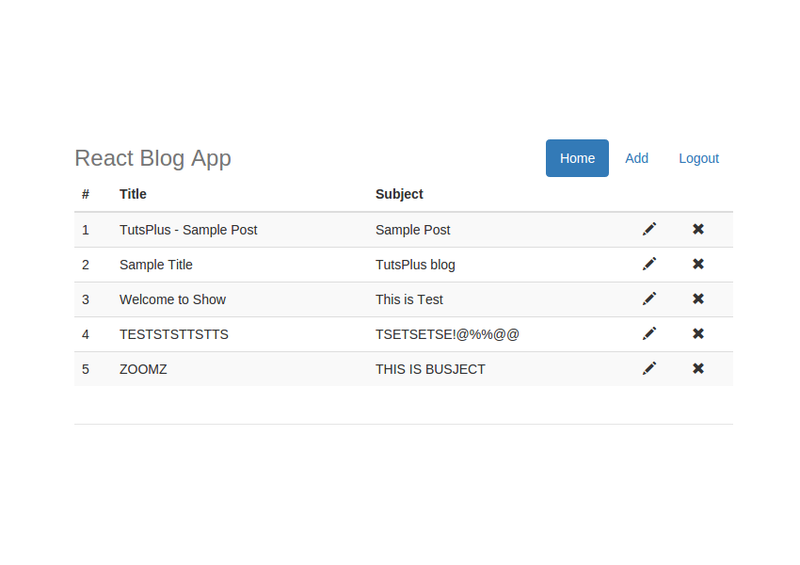 In this tutorial, you saw how to implement the delete and update blog post functionality in the React blog application. In the next part of the tutorial series, you'll learn how to implement the profile page for a logged-in user.